 The reason that the Prefecture of Niigata produces the finest sake in the world can be summed up in one word. The reason that the Prefecture of Niigata produces the finest sake in the world can be summed up in one word - snow. It is about the snow. 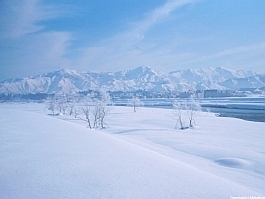 There are areas in the mountains of Niigata that receive over 30 feet of snowfall a year. This precipitous climate impacts the quality of the sake in three distinct ways. 1. The snow melts and the run-off water creates great, pristine rice paddies in which to grow the sake rice. This creates one of the most pure environments in the world for the growing of sake rice. 2. The pure melted snow water is also a significant component in the brewing process as sake, like beer, has water as its primary ingredient (other than rice). 3. Finally, the constant snowing that so dominates the winter climate is an air purifier. Thus, the brewing process takes place in an atmosphere that has virtually no air-carried pollutants, germs or other microbes to negatively impact the product. This is very important, as sake brewing is a complex process employing not only yeast, but also a beneficial mold called koji. Impurities in the air can have a detrimental effect on the quality of the beverage by impinging on the purity of the process. It is the snow that causes the Prefecture of Niigata to be the finest producer of sake in the World. The “terroir” of Niigata is snow-based. Certainly the unique climate of Niigata is one of the determining factors in creating a tradition of making the highest quality sake. But the tradition unveils itself in many other ways. These are: Most Niigata sake houses put their efforts into producing handcrafted sake of incredible quality. They leave mass production to other Prefectures. This is reflected in the fact that Niigata is by no means the largest sake-producing Prefecture in Japan. It produces less than 8% of the sake made in Japan. Several Prefectures produce much higher volume. Niigata puts its energy into producing high quality, handcrafted sake. In Niigata City, one will find the Niigata Sake Research Institute. Niigata is the only Prefecture in Japan to have such a research-based organization - an organization whose only mission is to enhance the quality and variety of Niigata sake. Thus Niigata, through the Niigata Sake Institute, leads the world in quality-oriented sake producing innovations. When it comes to new ways of inoculating koji rice, the development of new varieties of sake rice or yeasts, or the use of temperature control in the fermentation process, the Niigata Sake Institute is at the forefront. 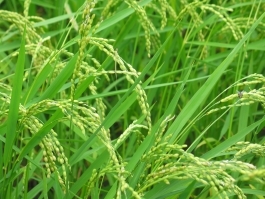 For instance, the Institute has recently developed a new sake rice variety called “Koshi Tanrei” through a joint project with the Niigata Agricultural Research Institute. The Koshi Tanrei is expected to become the flagship sake rice for sake producers in Niigata, particularly for their Daiginjo and Ginjo grade sakes. “Echigo Toji”, a group of Toji (sake masters) from Niigata, is one of the largest and the most influential and skillful group of sake masters in Japan. While they are not afraid to apply scientific innovations to improve their product, they understand the importance of keeping with sake-making traditions that have worked for centuries. A phrase often used is, “keiken to kan” - experience and intuition - to describe the artistry that goes into making handcrafted sake. The Toji and his kurabito (his sake making team) are artists who rely as much on their sense of feel as they do on scientific instrumentation. Handcrafted sake in Niigata is the perfect combination of art and science. Today it is no wonder that Niigata sakes are the finest in the world. The perfect climate for sake production combines with the advances made by the Niigata Sake Institute and the traditional artistry of the Echigo Toji to create an environment that is destined to nurture the highest quality sake in the world. Niigata Prefecture is renowned in Japan as the best area for growing rice and fermenting sake due to its deep snow and abundance of soft clear pure water.